At the beginning of this month, Punxsutawney Phil (America’s official groundhog) assigned us six more weeks of winter. This is approximately the time between Groundhog Day on February 2 and the Spring Equinox on March 20. 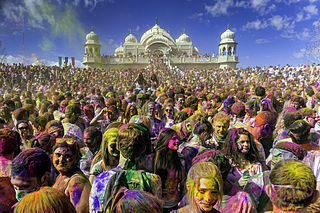 If you think that’s too long to wait for Spring, you might want to celebrate HOLI – THE FESTIVAL of COLORS this Friday. Holi is a moveable holiday based on the lunar calendar and is popular far beyond its home in India as a festival of fun. Like all good festivals, Holi celebrates the victory of good over evil, and love over hate. There was once a demon king called Hiranya Kashipu who became indestructible. [Sidebar: The name Hiranya Kashipu means love of gold and a soft bed.] Hiranya Kashipu soon considered himself a god and ordered everyone to worship him instead of Lord Vishnu. His son Prahlada refused to comply. Prahlada’s aunt Holika, from whom the name Holi is derived, persuaded Prahlada to sit on a bonfire with her. She failed to mention that her cloak would protect her from the fire, but not him. But Lord Vishnu intervened to protect his devotee. When the fire started, the cloak flew off Holika and landed on Prahlada who was unharmed. The next day people came to the site of the bonfire and applied the ash to their foreheads. 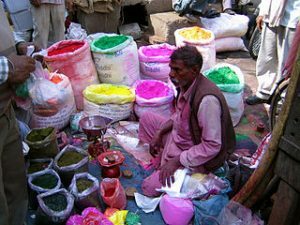 The use of colored powder comes from a legend about Lord Krishna and Radha. Lord Krishna was concerned Radha wouldn’t accept him because of his dark blue skin, so he arranged to color her face so she would look more like himself. 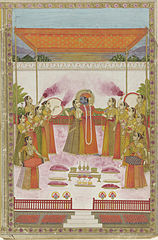 The throwing of colored powder became associated with the love of Krishna and Radha. The powder, called gull, was first made from turmeric paste and flower extracts. Today synthetics dyes are used. The four powder colors are red for love and fertility; blue to honor Krishna; yellow, the color of turmeric, and green to symbolize spring and new beginnings. The night before the festival, revelers light a bonfire to celebrate the victory of good over evil. The next day the fun begins. People smear colored powder over each other’s faces, throw colored water wherever they can, and lose their inhibitions. The last activity is facilitated by the consumption of Bhang, cannabis leaves that are crushed and mixed into drinks and sweets. Celebrants planning to take to the streets to enjoy the festival are advised to wear old clothes, since the colors often don’t wash out of fabric and to rub hair oil or coconut oil into their skin for the same reason. Crowds become more raucous as the day goes on, so tourists, especially women, are advised to be off the streets by noon. Though a Hindu festival, Holi is celebrated throughout the world as a harbinger of spring. In the United States, the Radha Krishna Temple of Spanish Fork, Utah is said to hold the world’s biggest Holi celebration. The 2016 event drew over 35,000 people. Spanish Fork, Utah has had a congregation of Hare Krishna worshipers since 1982. The temple began Holi festivals in 1989. You can get the flavor of last year’s celebration in this short video. From 2013 Festival of Colors at Sri Radha Krishna Temple by Steven Gerner, Creative Commons Attribution. Holi Festival with Radha, Krishna and the Gopis. Public Domain. Shop Selling Colors for Holi by Eliza Raschke. Creative Commons Attribution. “What Is the Holiday Festival and Why is it Celebrated by throwing colored powder?” The Telegraph. Mar 13, 2017. Sharell Cook. “Essential Guide to the 2018 Holi Festival in India.” TripSavvy. Feb. 2, 2018. 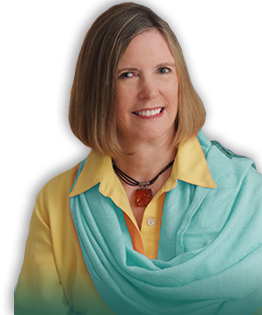 Katherine Davis. “Holi Festival a hit not only among Hindus. Washington Post. Mar 17, 2014. Amani Hughes. “Holi 2018.” Sunday Express. Feb. 22, 2018. Ankita Rao.” India’s ‘High’ Holiday.” The Atlantic. Mar. 17, 2014. Herb Scribner. “Does Utah really host the world’s largest Holiday Festival?” Deseret News. Mar. 15, 2017.